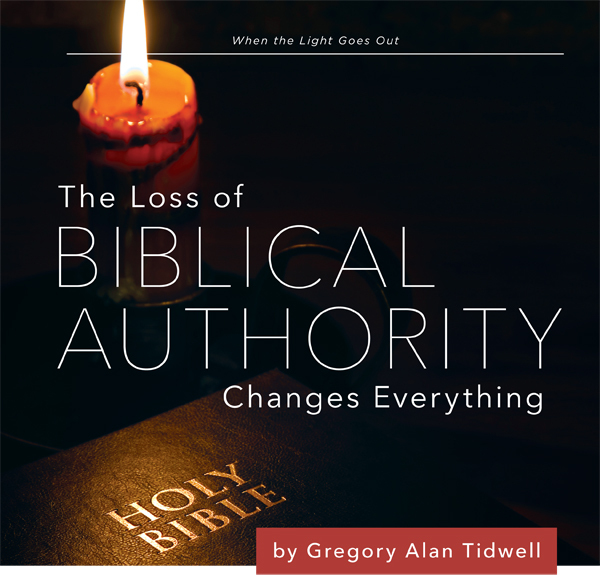 Reprinted from the March 2016 issue of Gospel Advocate Magazine, this article discusses the fact that if we lose our conviction in the authority of Scripture, we will have lost the light of His presence. “There is one great danger in seeking union among men – that is, in uniting with men we may separate from God. Often when we seek to get closer to one body we move away from another. We must be careful not to separate from God, because a union without God is a union in falsehood, a union with death. 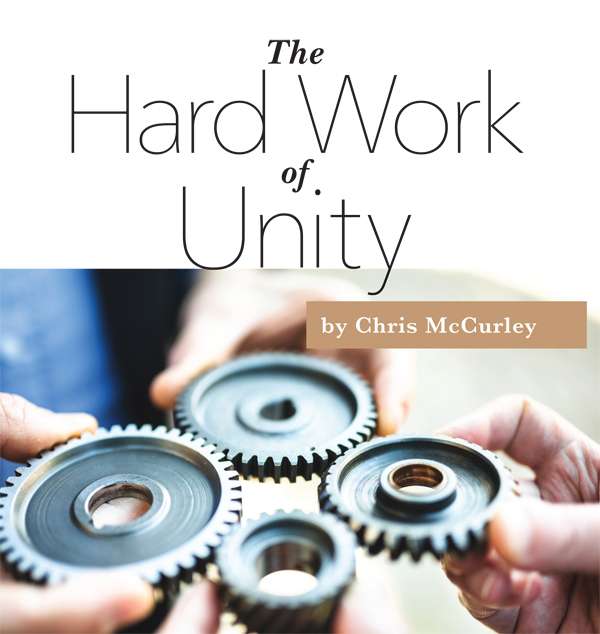 In any union of Christians, God must be the center and the head. We come into union with God by doing his commandments, by following his directions, and by walking in the light, as he is in the light” (Gospel Advocate, 1909, pp.1486-87). The church of Christ is dividing into two irreconcilable camps. On one side are those who have kept the same faith. On the other side are those who are experimenting with a broad range of differing faiths. And there is a vast gulf between these two sides, separating the light from the darkness. 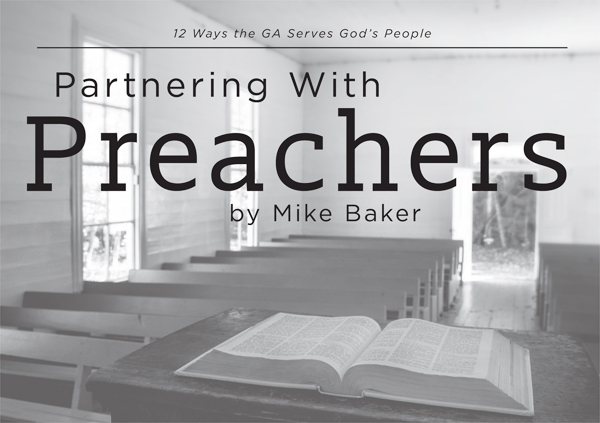 Reprinted from the February 2016 issue of Gospel Advocate Magazine, this article discusses the fact that a crucial part of the Christian life is getting along with the brethren. Mark Twain once said, “What gets us into trouble is not what we don’t know. It’s what we know for sure that just ain’t so.” For most, the term “sacred cow” has come to represent a stubborn loyalty to a long-standing tradition or institution that impedes natural processes. For as long as the church has existed, differences have existed among the brethren and will continue to exist among the brethren until the Lord comes back. 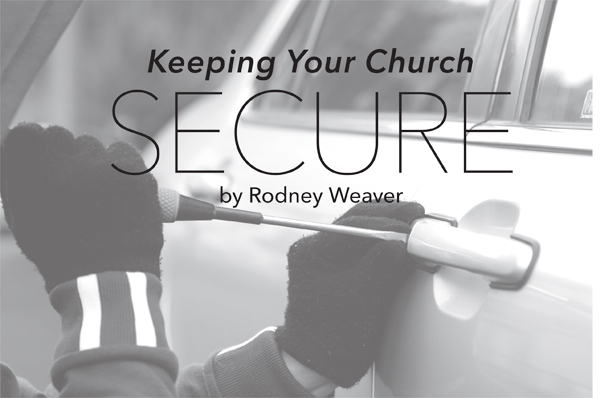 How we handle these differences is the key to church unity. A crucial part of the Christian life is getting along with the brethren. 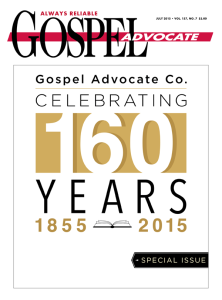 Reprinted from the September 2015 issue of Gospel Advocate Magazine, this article discusses the fact that the focus on women being allowed to preach has shifted from seeking biblical authority to the idea of purely giftedness in public speaking. I was attending the conference as a favor to my former professor and friend. He needed me to present my dissertation to highlight the doctorate of ministry program at his particular school. The title of the session concerning social change interested me because of my work on reaching out in my local community. Naively I believed the session would address evangelistic strategies in connecting with the downtrodden within local communities. This was not the case. 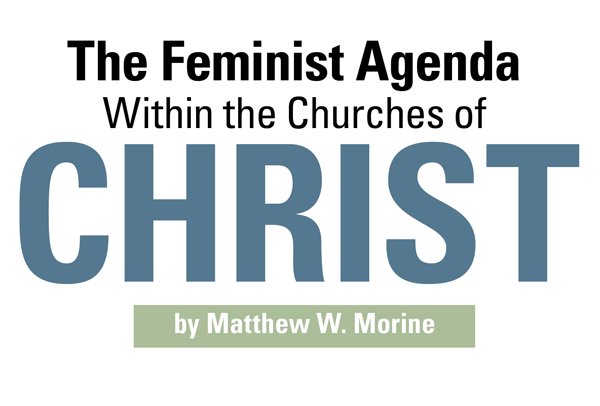 Instead the session was dealing with forcing a feminist agenda within the fellowship of the churches of Christ. I was surprised. The session used 1 Corinthians 4:20 as the thematic text. The verse states: “For the kingdom of God does not consist in talk but in power” (ESV). The leader of the panel discussion noted that the time for talk within the churches of Christ on gender equality has come to an end. Now, those who are advocates of this position were advised to use political power to force the churches of Christ to embrace full immersion of women within official leadership in the church. 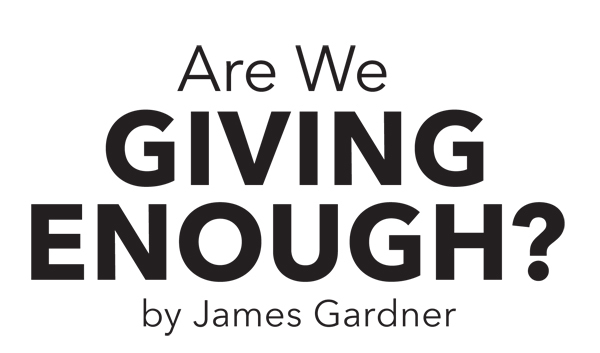 Reprinted from the August 2015 issue of Gospel Advocate Magazine, this article reminds us that the responsibility to teach God’s Word lies at the feet of the parents. There is an old saying, “The family that prays together, stays together.” No doubt this sentiment is more important these days than ever before. To this end, we at the Richmond Church of Christ in Richmond, Ky., have begun our “Family Devotional Week” program. 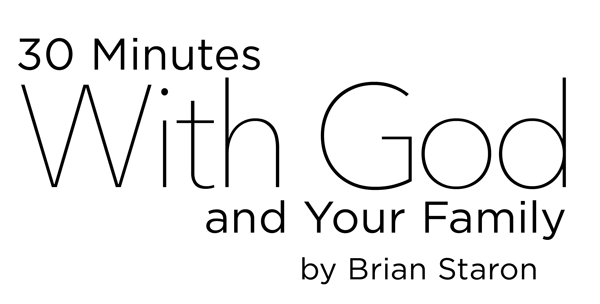 The idea behind the concept is a simple one: make time at home to study God’s Word with your family. Plenty of scriptures show the importance God puts on the study of His Word in our homes and lives (Deuteronomy 6:6-9; Acts 17:11; 2 Timothy 3:15). Obviously the young preacher Timothy had plenty of home study about the scriptures when you read Paul’s writing in 2 Timothy 1:5: “I call to remembrance the genuine faith that is in you, which dwelt first in your grandmother Lois and your mother Eunice, and I am persuaded is in you also” (NKJV). Timothy learned at the feet of this mother and grandmother. His “genuine faith” came as a result of the teachings of his family. 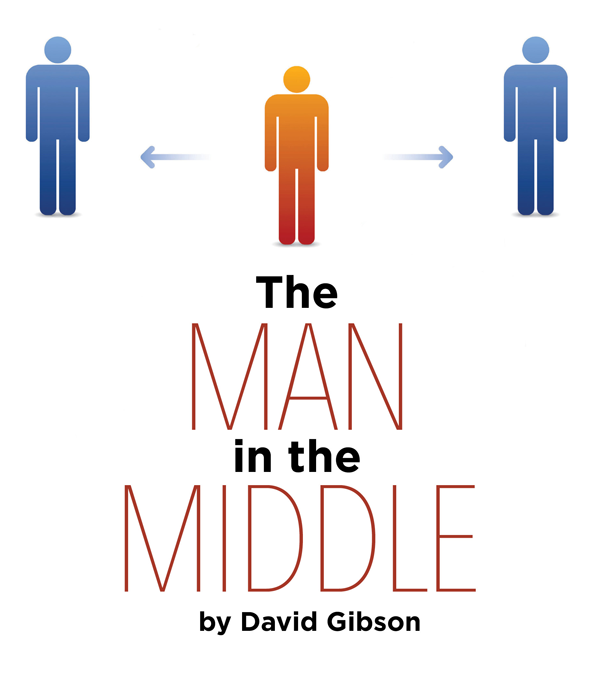 Reprinted from the June 2015 issue of Gospel Advocate Magazine, this article reminds us that there is one God, and one mediator between God and men, Jesus Christ. A few years ago I heard a retired state trooper tell about his witnessing the execution of a man in the electric chair in Huntsville, Texas, in the 1950s. Have you ever seen anyone executed? I don’t know of anyone else who has. Executions in our country today are fairly private and, supposedly, humane. The Bill of Rights forbids “cruel and unusual punishments.” In Jesus’ day they were quite public. Crucifixion was not unusual in Jesus’ day, but it was unspeakably cruel. The stark reality is that Jesus died in a shameful, horribly painful way – the death of a common criminal. Had He been executed by the Jewish method, He would have been stoned (John 8:59; 10:31; 11:8). But because Rome was in control, He died by the Roman method. Jesus’ cross was between two others. Consider how the man on the middle cross was in some ways similar to yet vastly different from the others dying there with Him.